Morgan Parker’s work, covering every topic from the first Black President to Beyoncé celebrating Black History Month, is dynamic and intriguing. It’s a testament to how dynamic poetry can be, and is. The cover itself shows a woman sprawled on a couch with mascara rolling down her face. The image for me shows exactly what happens in the book: a person that is usually seen as a strong powerhouse, broken down and beaten, and shown in a new light. For example, in the poem “The President Has Never Said The Word Black,” Parker thoughtfully goes through why it hurts so much that the first African American President of the United States never called himself “Black,” or referred to his “brothers and sisters” as “Black.” It’s a powerful piece that really brings to attention what it feels like to be a Black American. It’s also a wonderful example of the pain that can be felt when you don’t get your way, another example of intriguing work. Another poem that is just as powerful is the piece “Afro.” In it, Parker explains the tragic ups and downs that make up being African American, or Black, in what feels like a mash up of this and the past century. It’s a creative piece, calling on “Auntie Angela,” “Miss Holiday,” “Michael,” and “Dave Chappelle,” all major African American and Black figures of yesterday and today. It’s a powerful piece with a title that evokes thoughts of strife and majesty. The next poem that really zeros in on what it feels like to be a Black person in today’s society, particularly a woman, is “13 Ways Of Looking At A Black Girl.” The poem is what seems to be a randomized list of terms, names, and phrases that may come to mind when thinking of a Black woman. Parker throws out words and phrases like “dead,” “dying,” “carefree,” and “exotic;” phrases like “chickenhead,” “at risk,” and “I am hungry,” which show the negative and the positive sides of how society looks at a Black girl. Parker then throws in names of women such as Nikki Giovanni, Sandra Bland, Whitney Houston, and Shonda Rhimes. Powerful names. Names of significance to the Black community and society as a whole, again showing the ups and downs of what it is to be a Black woman. what it means to be at sea. As a whole, Parker’s work in the book is thoughtful, kind, yet brutally honest and thought provoking. “There Are More Beautiful Things Than Beyoncé” is a fantastic read for anyone and everyone. If you’re in the “Beyhive,” don’t be offended at all; it’s a great read about a wonderful person! 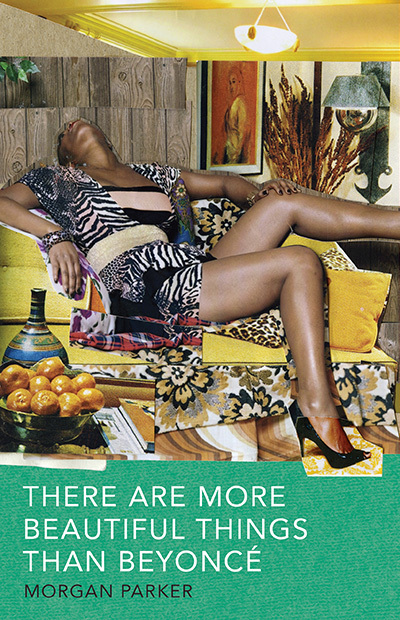 About the Author: Morgan Parker is the author of There Are More Beautiful Things Than Beyoncé (Tin House Books, 2017) and Other People’s Comfort Keeps Me Up At Night (Switchback Books, 2015), which was selected by Eileen Myles for the 2013 Gatewood Prize and a finalist for the Poetry Society of America’s Norma Farber First Book Award. Parker received her Bachelors in Anthropology and Creative Writing from Columbia University and her MFA in Poetry from NYU. Her poetry and essays have been published and anthologized in numerous publications, including The Paris Review, The BreakBeat Poets: New American Poetry in the Age of Hip-Hop, Best American Poetry 2016, The New York Times, and The Nation. Parker is the recipient of a 2017 National Endowment of the Arts Literature Fellowship, winner of a 2016 Pushcart Prize, and a Cave Canem graduate fellow. She is the creator and host of Reparations, Live! at the Ace Hotel in New York. With Tommy Pico, she co-curates the Poets With Attitude (PWA) reading series, and with Angel Nafis, she is The Other Black Girl Collective. She is a Sagittarius, and she lives in Brooklyn.